Home / Uncategorized / Lebron marked his territory. Cleveland fans have a right to be angry. Lebron James showed up at the Q and more or less did the equivalent to the Cavs what a dog does to a hydrant when marking his territory. And the worst part about it is that the Cavalier players were laughing while he was doing it. I’ve been a Cleveland fan all of my life and one thing is for certain. Cleveland fans will back their team, and it’s players, to the bitter end if they know the players are putting forth an effort. It’s what made Earnest Byner such a beloved player even after the infamous fumble. 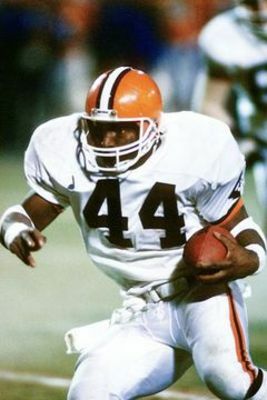 Fans always knew that Byner was giving it his all and would show up each and every game determined to do his best. The fans identified with him. I didn’t see that same level of effort Thursday night at the Q. Instead, I saw a bunch of average players in awe of the Heat and especially Lebron. Players that were too afraid to put Lebron on his backside when he drove the lane. What truly astonishes me is that they still showed respect for a guy that more or less told them they were no good and he had a better chance to win a title down in Miami. Even after winning the most games in the NBA last year. Unbelievable. Where is the self respect?